My road trip through the Midwest had started nearly a week ago. I was now in one of my favorite cities with my mom. 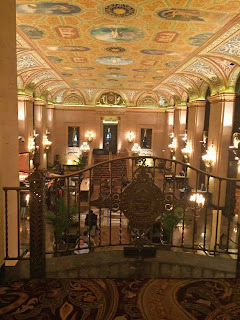 We had stayed at the Palmer House Hilton previously and I knew how much my mom loved it. I also always had a great time at this classic hotel. I called my friend, Ken Price, the hotel’s Director of Publicity, to arrange our stay. 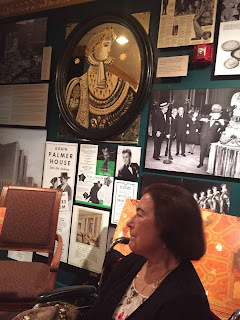 Every time I’ve been to Palmer House, Ken has fascinated me with stories of the hotel’s history. He has mentioned his “History is Hott” tour and I was finally able to work out a time to do it. After a good night’s sleep, we had a light breakfast and got ready to meet Ken. 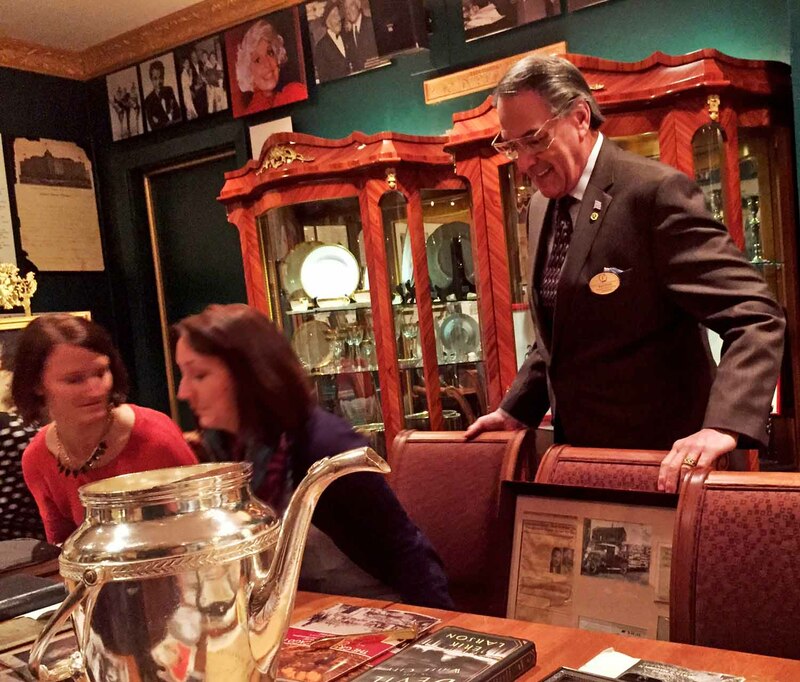 We were saving our appetite for lunch at the Palmer House’s Lockwood Restaurant, which is included with the History is Hott tour. Ken met us and we caught up over lunch before the rest of the people arrived for the tour. 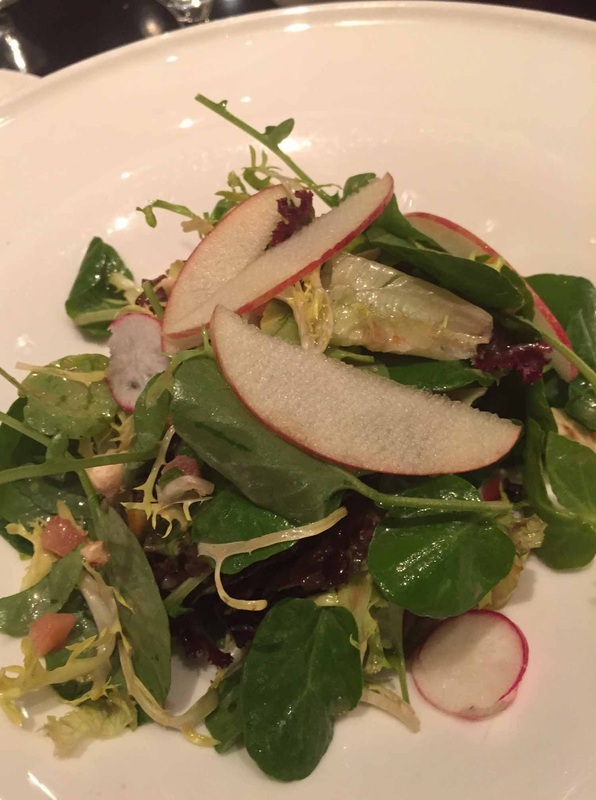 I had the delicious French Onion Soup while Mom enjoyed the salad with shaved pears, hazelnuts, and greens in a buttermilk vinaigrette. 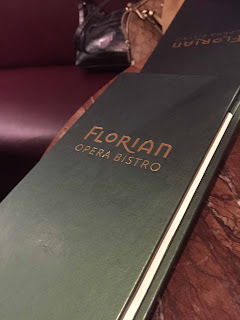 We also chose different entrees as I had the Spaghetti ala Chitarra with wild mushrooms, herbs, and parmesan, while she ate the BBQ Salmon, served with an asparagus salad. 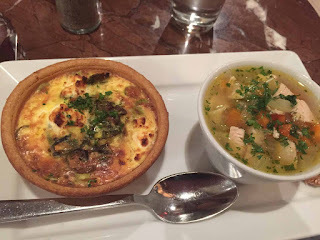 Both dishes were quite good, which I expect when I go to Lockwood. The first time it was made was in the kitchen of the Palmer House in 1893, to be served at the Columbian Exposition of the Chicago World’s Fair. As we all know, the brownie became quite famous. Bertha Palmer also had a story and that’s what the History is Hott tour is all about. 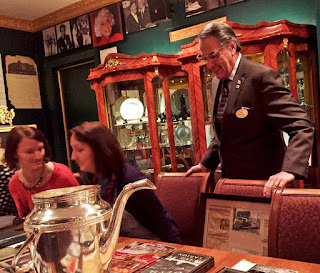 Ken Price tells the story of love, fire, architecture, and design in its entirety as you see original artifacts in the Palmer House Museum and tour the exquisite hotel. 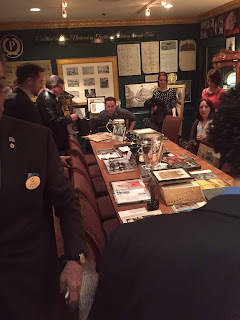 The tour was as wonderful as I expected and I strongly suggest it to anyone visiting or living near Chicago (details and reservations information can be found here). 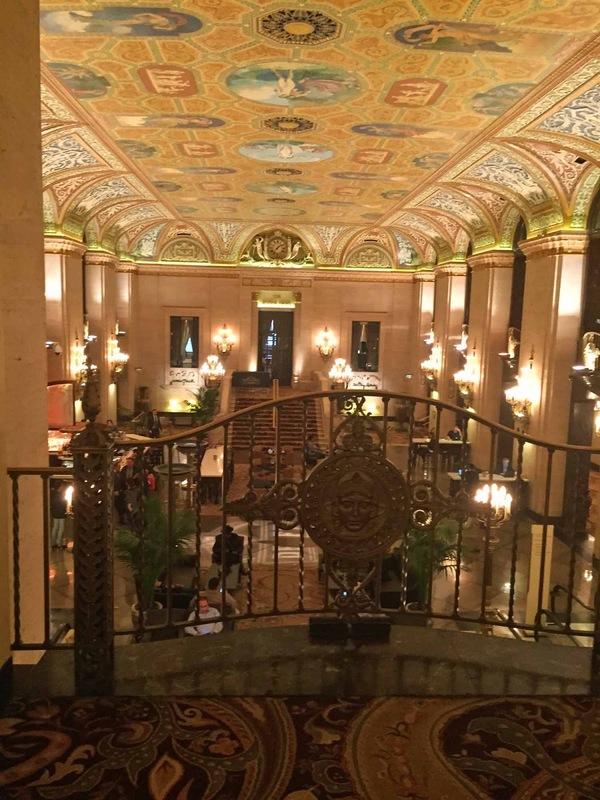 We went back to our room at the Palmer House and got ready for a special night. It was our first trip to Lyric Opera and we were going to see one of my mom’s favorite plays, Carousel . We arrived early for dinner at the Florian Opera Bistro. It was set up like a French café and our dinner was delicious. I had one of Romeo’s Savory Tarts, choosing the one with gruyere and zucchini, accompanied by a freshly made chicken noodle soup. We shared a tart and some cookies for dessert and then headed up to the theater for the performance. It was a majestic site. 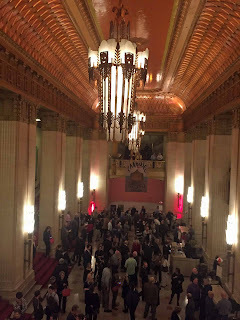 We had seats right in the front, though I doubt any seat could be bad at Lyric Opera. The performance was the quality of a Tony winning Broadway show. Actor Steven Pasquale was amazing in the lead of this Rogers and Hammerstein musical. 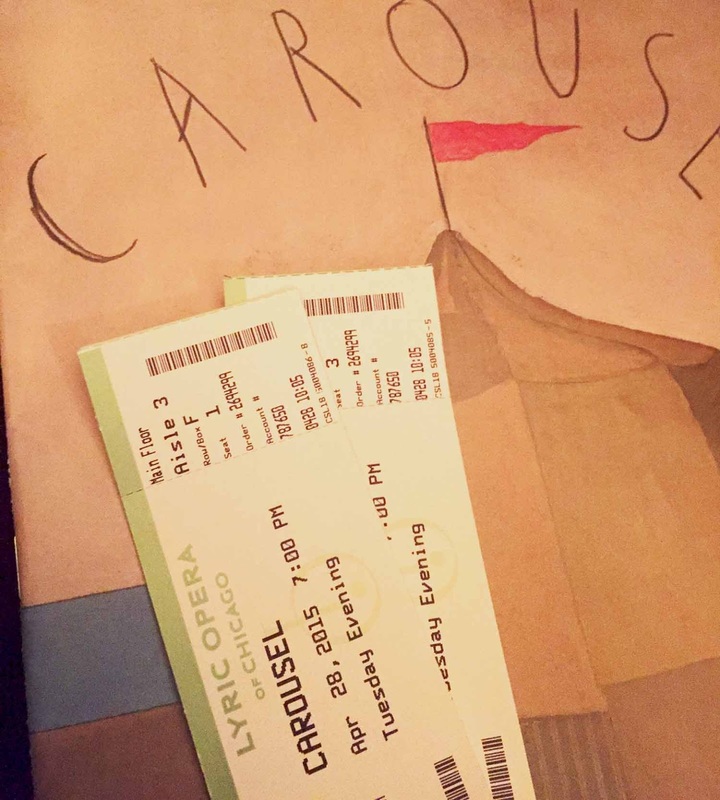 I look forward to seeing more at Lyric Opera in the future. Their calendar is full and varied. It was a long drive home after a week of road tripping in the Midwest that ended with a magical night in Chicago.